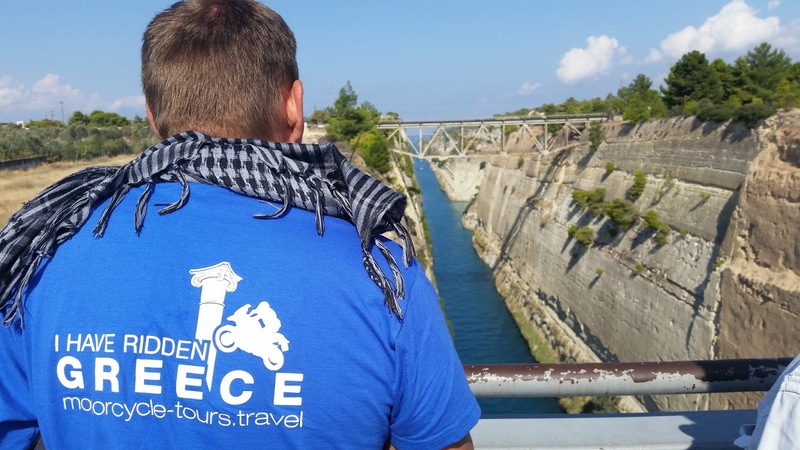 A motorbike adventure in the realm of the Greek Gods, ancient sites and amazing motorbike roads. In the summer time the temperatures in Greece can reach up to 40 degrees Celsius. This can make riding a motorbike a little bit uncomfortable so autumn was chosen for this adventure. Late September with great temperatures of 28 degrees Celsius and the great motorbike roads of Greece. The adventure starts in northern Greece in Thessaloniki (Salonika), a charming city on the shore of Thermaic Golf. 8 motorbikes, 11 riders and 1 support car transporting the luggage and a spare motorbike just in case. Evenings in Thessaloniki are busy, with terraces full of people ready to have fun, to listen to live Greek music and to taste the flavours of Greece. Dinner with Greek live show was a treat and the food was just what the group needed to emerge in the Greek culture. A leisure day starts, riding along the Olympian Bay to Mount Olympus, the highest in Greece, reaching up to 2918 m in altitude. From November until beginning of May the summit is covered in snow. The ride on Olympus Mountain offers great views over the coastal line and the summer resorts. The road snakes up through the forest offering some great riding and amazing photo opportunities. A short section of gravel road takes you to mountain base where the riders can enjoy a refreshing drink at the small restaurant and a shorter or longer walk up to the mountain. At the foot of this majestic mountain lies one of the oldest oracles in Greece, the Oracle of Dione. In times unforgotten, Alexander - the Great used to come here to reach advice and to leave an offering before going on his military expeditions. After a short ride the adventurers arrive in Platamonas. Accommodation is right on the sea side offering an amazing sunrise. Waking up in the morning with this view can charge one’s batteries for a long time. The ride continues on Kato Olympus Mountain with a series of hair pin curves. The road gradually opens to wider curves while riding towards Meteora, a complex of medieval monasteries built on top of high cliffs in the region of Kalampaka. The road of Kalampaka is sprinkled with such monasteries and rocks full of hermit caves. Some wooden ladders and ropes that go to the small caves in the rocks where hermits used to live can be still spotted on some sections of the road. Evening in the city of Lamia. 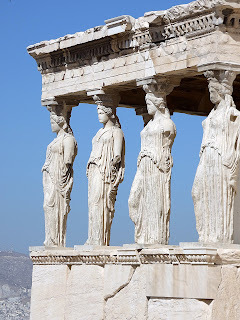 The city was chosen for its proximity to the Hot Gates, Thermopylae where in ancient times 300 spartan soldiers leading the battle by King Leonidas stood against an army of thousands of Persians and its immortals. They managed to keep the gates protected for three days fighting to their last breath and fell in the end heroically. On the place of the great battle the statue of King Leonidas and his 300 Spartans can now be seen. Right across the street is the Kolonos Hill – unveiling a memorial plaque - a modern re-creation of Go Tell the Spartans epitaph and close by the monument of the 700 Thespians that have fought side by side with the Spartans in this epic battle. The ride continues on a winding road to the foot of Parnassus Mountain where the Oracle of Delphi used to make prophecies. Now only the ruin of what this great place once was, the location still carries through the rocks the echoes of the ancient World where important kings and commoners as well would travel long distances to ask questions and hear the prophecies of the God Apollo trough the mouth of Pythia - the virgin oracle. 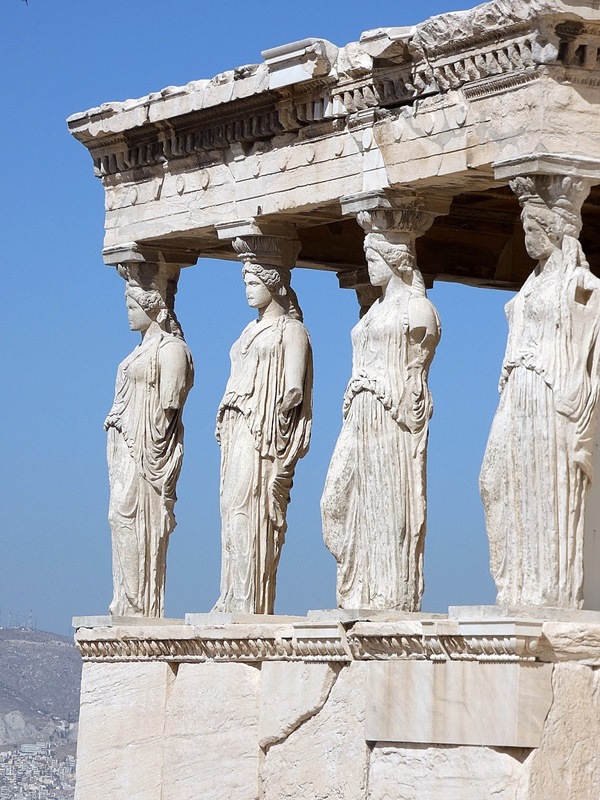 Athens is next, and being the cradle of civilization, the riders will spend 2 days in this magnificent city walking on its cobbled street and visiting its most precious treasuries: The Acropolis and Acropolis Museum. Athens has so much to offer. From museums, galleries, architecture, even the underground metro stations are designed as museums displaying some of the artefacts found while digging the metro passageways. Back on the steel horses riding on the shores of the Aegean Sea to Corinth ancient site. 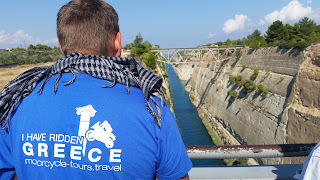 Crossing Corinth Canal and watching the submersible bridge making way for big ships to cross the narrow canal while enjoying a Greek coffee at the local bar is a great experience. The ride on the northern Peloponnese offers amazing views on the Ionian Sea, Corinth Gulf. The accommodation is a reward: on the sea side overlooking Rio - Antirrio Cable stayed bridge, a glimpse of next day fun. Crossing the bridge was a challenge because of the heavy wind blowing but great fun. Crossing from Peloponnese to main land Greece using this bridge has a small toll for motorbikes, but totally worth it. The beautiful Island of Lefkada with its wild nature and great motorbike labyrinth roads is next. 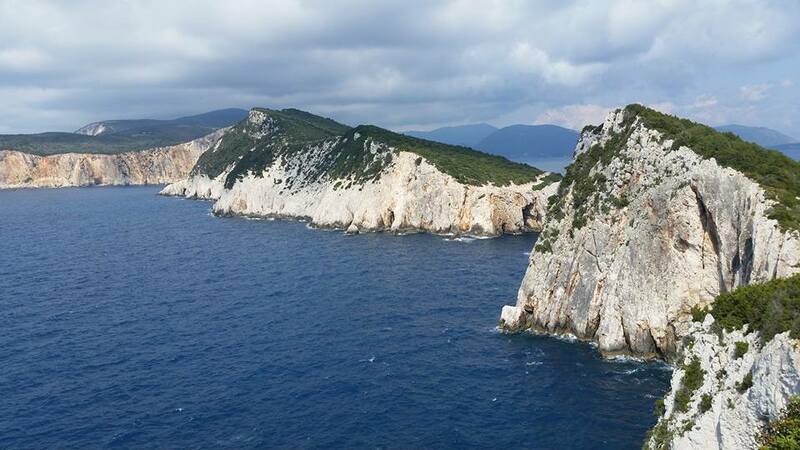 Cape Lefkas, the southernmost point of the Island offers amazing views. 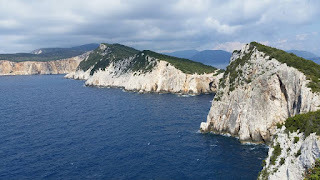 The legend says that ancient poetese Sapho, allegedly committed suicide hurling herself from the rock at Cape Lefkas. Overnight in Vassiliki at a cozy hotel right at the seaside, already dreaming of what is yet to be discovered. Heading north towards Ioannina on sinuous roads with a stop in the city of Arta famous for its medieval castle ruins and the Bridge of Arta. The bridge today is a 17-century ottoman construction made of stones. The dramatic legend of building the stone bridge with human sacrifice is told to this day. East of Ioannina is Tzoumerka National Park, Peristeri & Arachtos Gorges – a wild and beautiful mountainous region hiding great treasures. A rare collection of hairpin curves has attracted the riders in this region, making them discover more than they bargained for: The enclosed Monastery of Kipina. Built right in the walls of the mountain rock, Kipina Monastery offers an authentic visit and an insight to monastic life. The adventure closes to its end as the riders are cutting the edge of Pindus National Park towards Thessaloniki. A stop at Edessa for a tasty traditional gyros for lunch and a visit to the highest waterfall in Greece is a must. Heading to Thessaloniki, the road passes by the city of Pella. The history buffs know this place as being the birthplace of Alexander the Great. A small but yet evocative museum has opened his doors for visitors of central Macedonia here. Although the museum is not dedicated to Alexander the Great, it totally worth a visit as the famous marble head of Alexander, dating 4th century BC is here on display. After a visit at Pella Museum the ride finishes in Thessaloniki with a traditional Greek dinner washed down with Greek beer and accompanied by live Greek music. And the Greeks never get tired of playing their bouzouki. When to ride: spring or autumn are recommended. The temperatures will be favourable and visiting the attractions out of summer season will give the visitors more space avoiding the crowds. The 2018 edition of Greece motorbike tour will start on September 17 and is now on sale with a generous Early Booking Discount. Looking for travel Inspiration? Greece has everything you need to know. Fascinating places, mouth watering cuisine, events and much more.